Pre-marital counseling is something that Derek and I have found a lot of value and joy in pursuing together. For the time being we are conducting a self-guided practice in which we set aside time each Sunday to read articles, discuss what's on our heart and ask each other a consistent set of questions to keep our communication open, serving one another and loving. 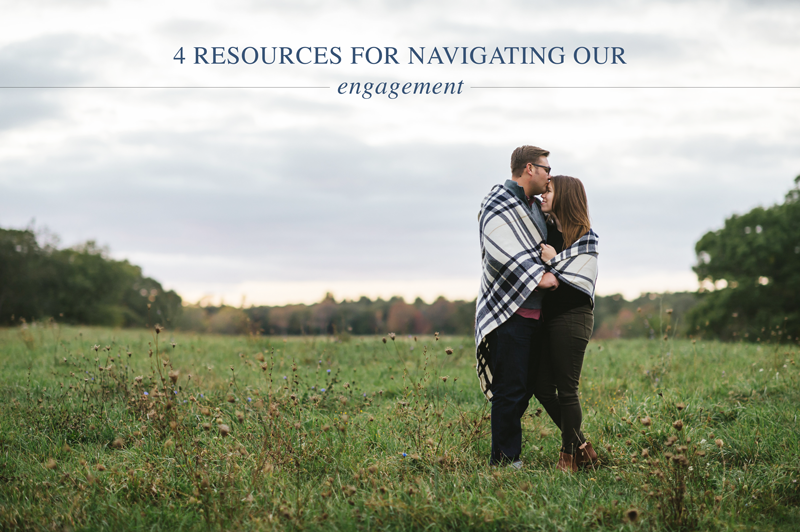 Jeremy and Audrey Roloff's site, Beating50Percent, has been a main source of counsel when it comes to focussing on preparing for our marriage. Their mission alone is inspiring enough to hold ourselves to a standard of a successful marriage. We find continual encouragement and fulfillment in the articles they post and example they set for pursuing a covenant marriage that is beating 50 percent. The Bare Bride keeps it real. That's the beginning and the end of it. As any bride-to-be, or even groom-to-be, knows... planning a wedding and being engaged is much more than just picking out flowers and tasting cake. I've found myself nodding my head so often when reading The Bare Bride posts when it comes to finding encouragement in topics such as taking time for yourself, not trying to fit a mold and celebrating the real root of the reason you're planning a wedding in the first place: your marriage. A few days after Derek proposed, I booked it (no pun intended) to Barnes & Noble to purchase a wedding planner. This one in particular came highly reccommended from one of my bridesmaids, and she definitely did not steer me wrong. This planner literally walks you through every part of the wedding planning process step by step. Alison Hotchkiss, the author, has thought of e v e r y t h i n g so that you don't have to. It's the best. A life saver. And my go to throughout all of this to make sure I'm not missing anything along the way. 4. Our wedding party and family! We've found on more than one occasion that it is wildly helpful to reach out to the members of our wedding party and family for help when it comes to planning the details of our wedding. Being the bride and the groom, we're essentially the center of the entire event when it comes to managing the decisions and details. At times, this can lead to total overwhelm. It's been beneficial to get an unclouded and focused opinion or suggestion from those who are by our side. All the Essentials Wedding Planner! What what! The best. Heck yes! Thanks for suggesting it! Glad to hear that! Wishing you the best.